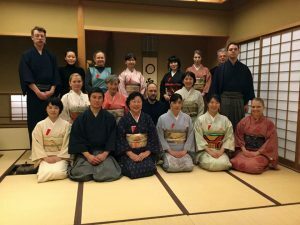 The Urasenke Teeweg-Verein Berlin was founded in 2013 and has been officially recognized by the Urasenke Tankōkai Foundation in Kyōto as the Chadō Urasenke Tankōkai Berlin Association from 1 November, 2013. The goal of setting up the association was to provide a framework for exchange, joint practice and learning for those in Berlin wishing to pursue the Way of Tea, whether they have already done so for a number of years or have just discovered it. The association sees its mission in cultivating the Way of Tea and communicating it to a wider audience. This is achieved by training its members in the art of ritual tea preparation and the many areas connected to it, by theoretically and practically engaging with Zen Buddhism as the spiritual basis of the Way of Tea, by hosting tea gatherings, seminars and special tea events, as well as by staging public presentations. Anybody wishing to pursue the Way of Tea or to support the Association in its objectives can become a member. Those who do not wish to actively participate in the training can join the Association as a supporting member. Full members currently contribute € 80 per year, supporting members € 40. The charter of the Association is available as a PDF-file upon request. The Urasenke School of Tea in Kyōto was founded in the 18th century by Sensō Sōshitsu 仙叟宗室. 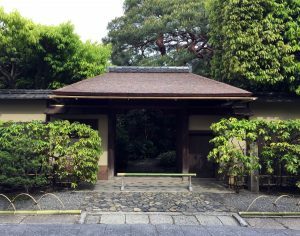 His father Sen Sōtan 千宗旦, grandson of the great tea master Sen no Rikyū, had divided his property among his three sons. 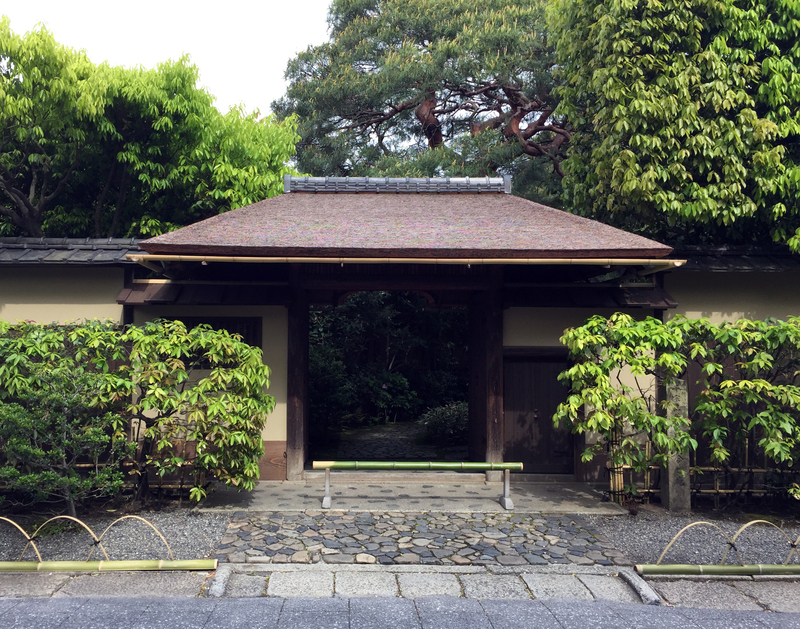 From this originated the three Sen Schools of Tea persisting to this day: the Omotesenke 表千家, the Urasenke 裏千家, as well as the Mushakōji-Senke 武者小路千家. The Urasenke School of Tea is dedicated to continuing, cultivating and teaching the Way of Tea as perfected by Sen no Rikyū. It is at present under the leadership of the 16th-generation Grand Master Genmoku Sōshitsu 玄黙宗室. The Urasenke is based at the Konnichi-an 今日庵 complex in Kyōto, its emblem is the green Ginkgo leaf. After the atrocities of the Second World War the then Grand Master Tantansai 淡々斎 began to actively promote the Way of Tea as a way of peace not only in Japan but also abroad. This work has been carried on by his successors Hōunsai 鵬雲斎 and the present Grand Master. 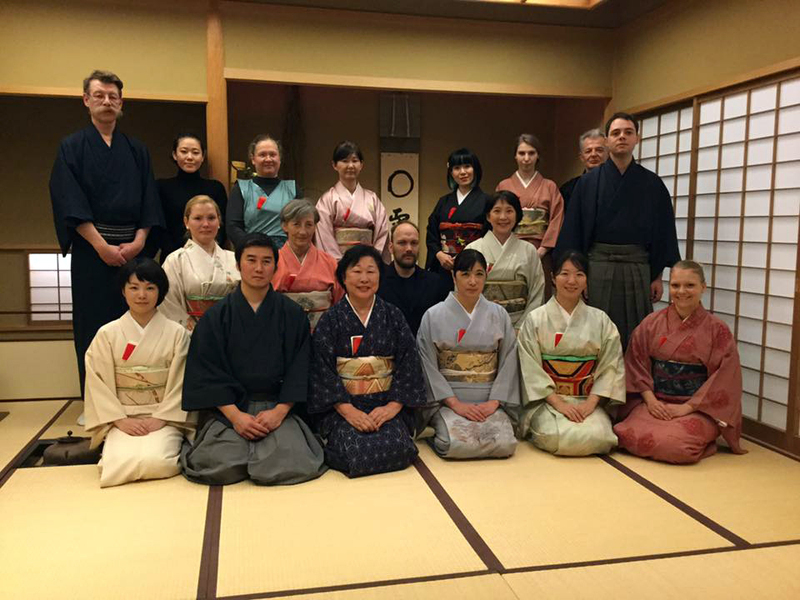 Today the Urasenke is the School of Tea with the largest international reach, counting about 90 official Chadō Urasenke Tankōkai Associations in 36 countries. © 2019 Chado Urasenke Teeweg-Verein Berlin. All rights reserved. Contact: mail@teeweg-berlin.de.